A Coalescing Plate Separator with a capacity of 50 m³/hr was shipped recently from our workshop for treating produced water at the KUWAIT Gathering Center 16 project. The challenge was to design a separator which should act as efficient oil separator as well as a solids separator. Special flush connections are provided for the removal of separated solids. The internals of this separator are retractable for easy maintenance. 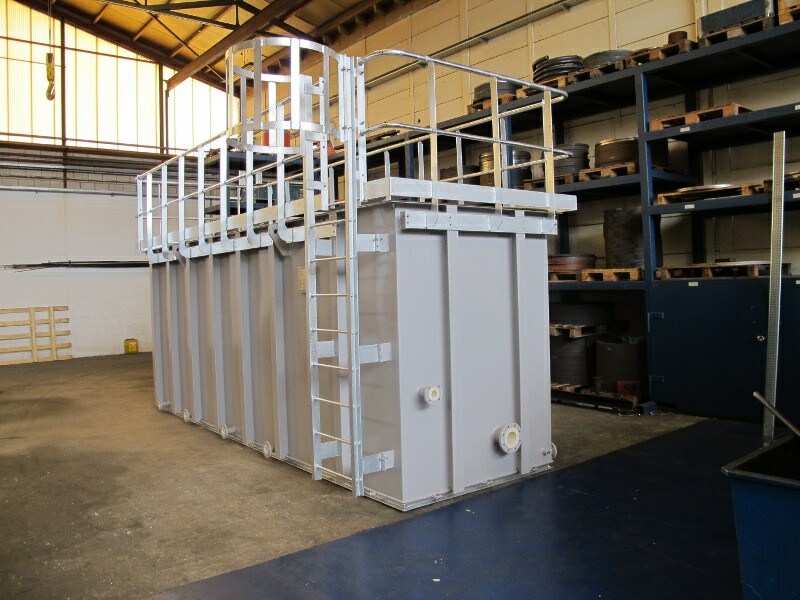 If you have an application for an oil/solids separator please contact us. Posted June 24, 2013 in News.